A popular discussion that seems to have made its way through all levels of social media is the animal cruelty going on at Seaworld. For young children, it’s exciting. A big beautiful animal that you can’t see anywhere else! But I am yet to find anything good about it. They don’t even use their insane income to help the ocean, about $0.5 per ticket goes to ocean conservation efforts. Glad to see their helping maintain the place they stole their orcas from! For me, the realisation of how devastatingly awful this place is started with watching the doctumentary Blackfish, which mainly followed the story of one whale Tilikum. Tilikum was responsible for the death of 2 females, and yet this has been put down to an act of aggression and not his distress at being kept confined for almost his entire life. And he’s still there. Seaworld knew of the previous death caused by Tilikum before taking him on, and yet they still allowed their trainers to be in the water with him without them having any knowledge of his violent behaviour. All Tilikum does now is lie still in a tank the size of a bathtub comparable to his size. The car park is larger than the tanks. 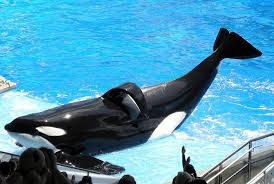 His dorsal fin is badly collapsed, something Seaworld have claimed is normal and happens to all whales as they get older, which is a bold faced lie. Collapsed dorsal fins are an indication of an unhealthy or injured orca. 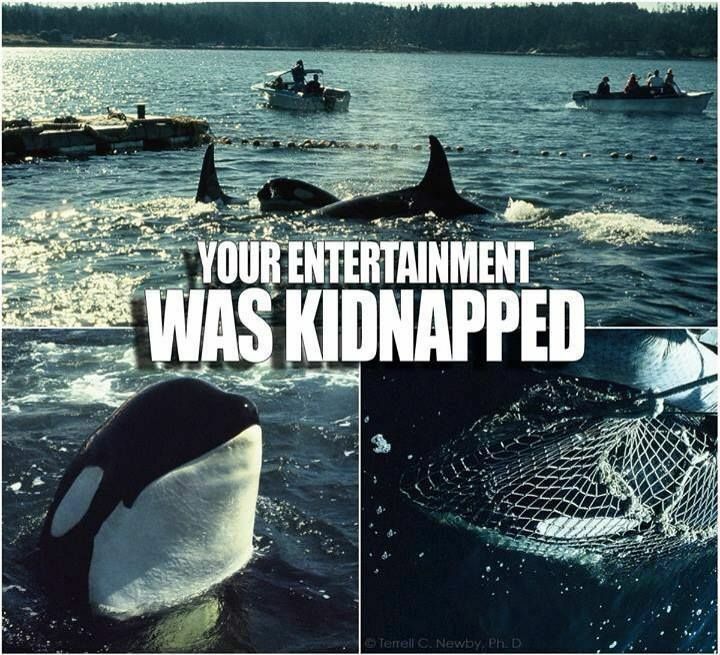 A lot of the orcas held there also have dental problems, from chewing on metal gates or the concrete pools. 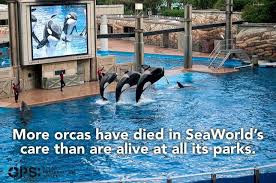 Something else Seaworld have lied about is the average life expectancy of an orca. They have claimed the oldest they can live to is roughly 25-30 years. It was discovered in the 1980s that orcas are able to live up to 80 years, matching the life expectancy of a human. In fact, the oldest orca, named ‘Granny’, is now 103 years old. Orcas in captivity, on average, only live to 13 – a scarily upsetting difference. 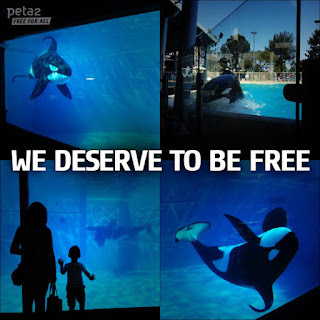 Not one whale held in Seaworld has died of old age. It has been said that they ‘never separate mother and baby’, however there are roughly 20 heartbreaking instances of mother and baby being separated, some of the babies as young as 1 or 2. 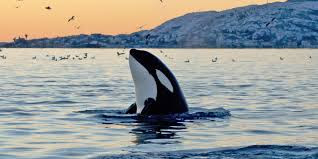 The orca Kalina had 5 out of her 7 babies taken away from her, out of those 5 only 2 remain today. These animals do not deserve to be kept confined until their unfair, untimely deaths.